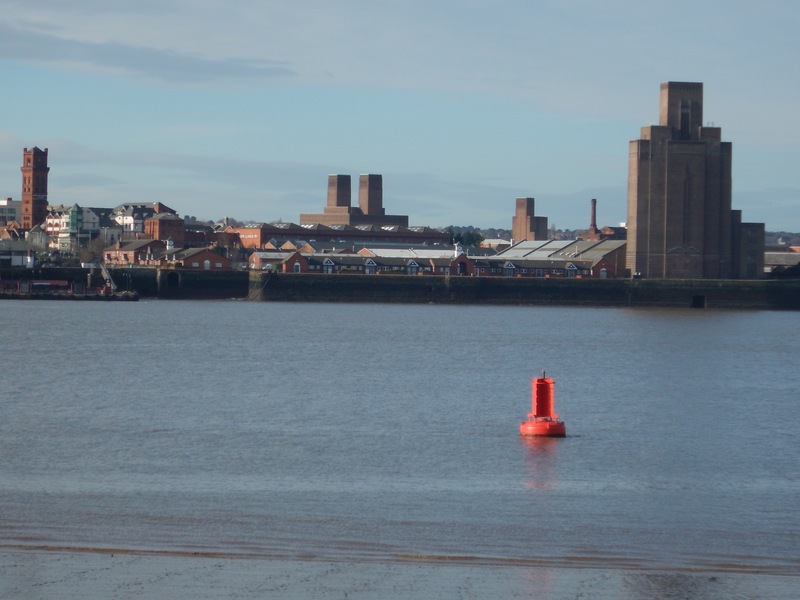 “They put Liverpool on the wrong side of the River Mersey,” the old-timer tells us at the Baltic Fleet Pub. “King John came up from London and said to put the port on this side, but the water is much deeper on the other side.” And so a mistake made 750 years ago prevented The Beatles from becoming the “mop tops from Birkenhead.” It’s funny how history works. Birkenhead as seen from Liverpool. Note the deeper water. 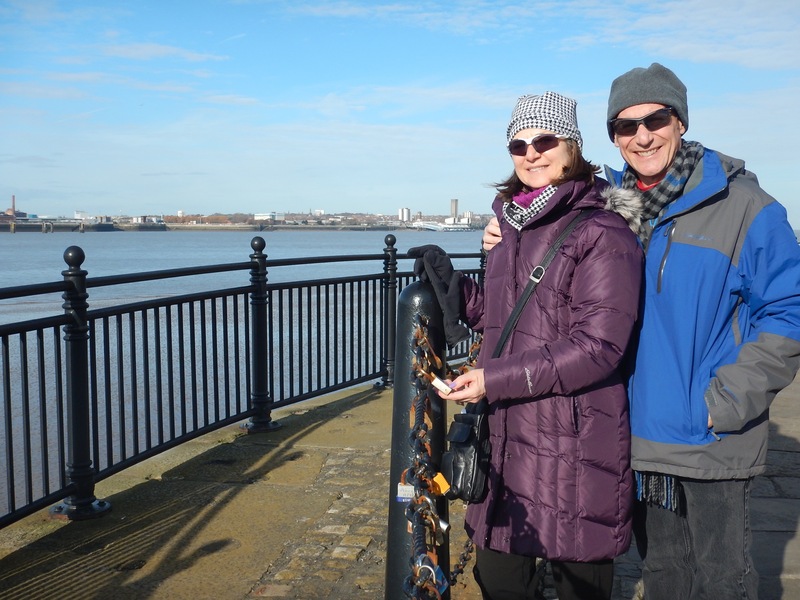 We went to Dublin to drink, but we came to Liverpool to follow the Beatles trail. Some of our earliest memories of life are from when we were 6 years old and the Beatles came to the USA. 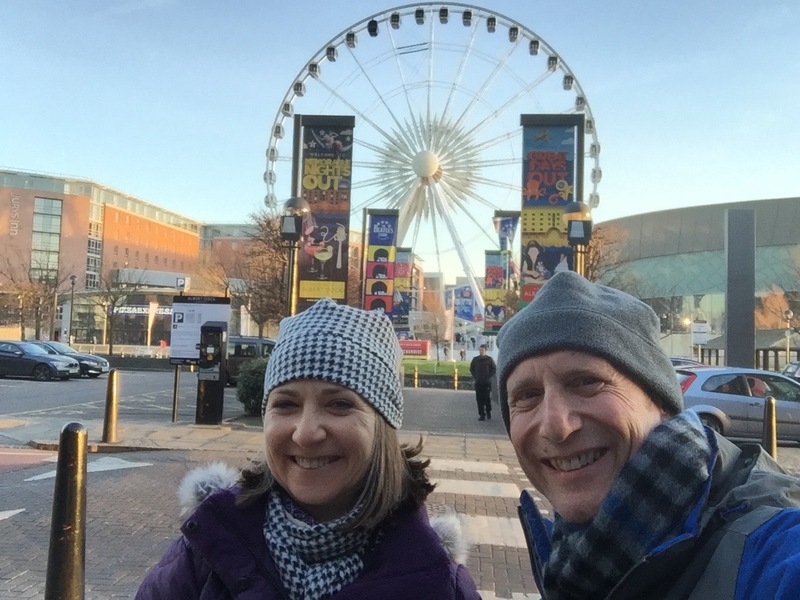 We are both life-long fans and this trip grew out of our love of the Fab Four. It’s a sunny, happy Valentine’s Day in Liverpool. 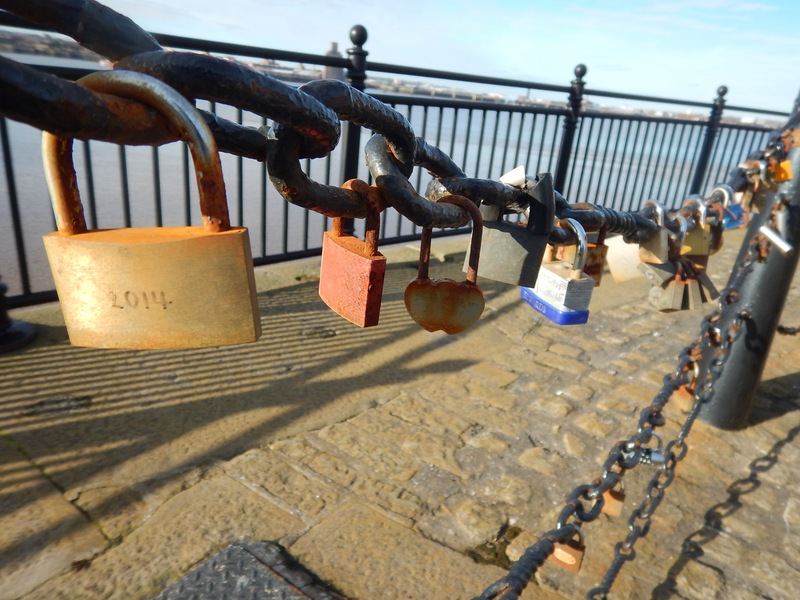 We begin our day with a visit to the shores of the River Mersey where people proclaim their love by writing names or putting initials on locks, locking them to the fence along the river and then throwing away the key. It’s sweet and an impressive sight on this day of love. Next up, the Magical Mystery Tour. 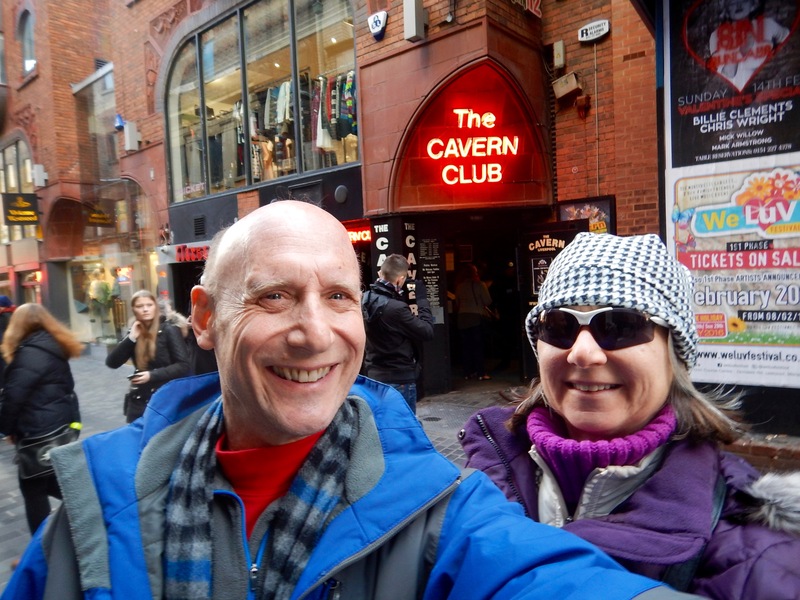 It’s a two-hour trip down memory lane as we visit all of the important places in the lives of the four lads from Liverpool. We see their very humble houses, where they attended school, where John and Paul met. 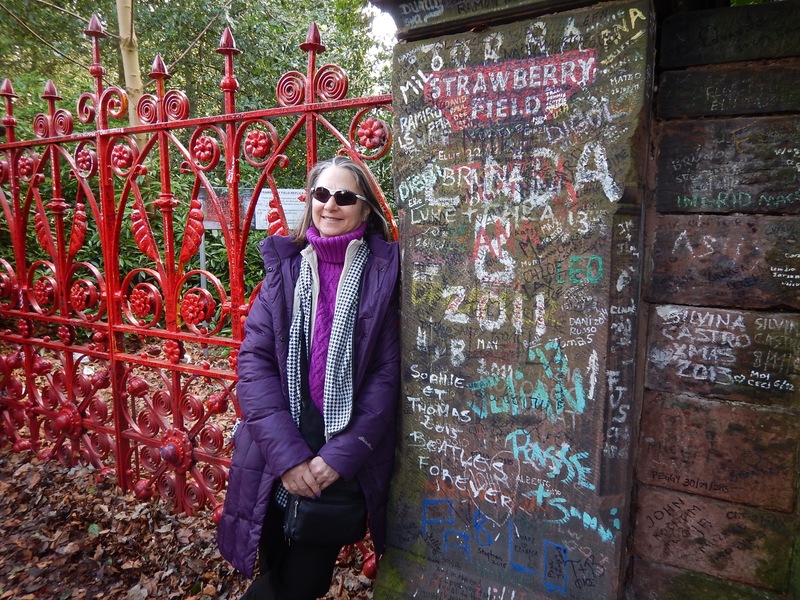 We visit Penny Lane and Strawberry Field. 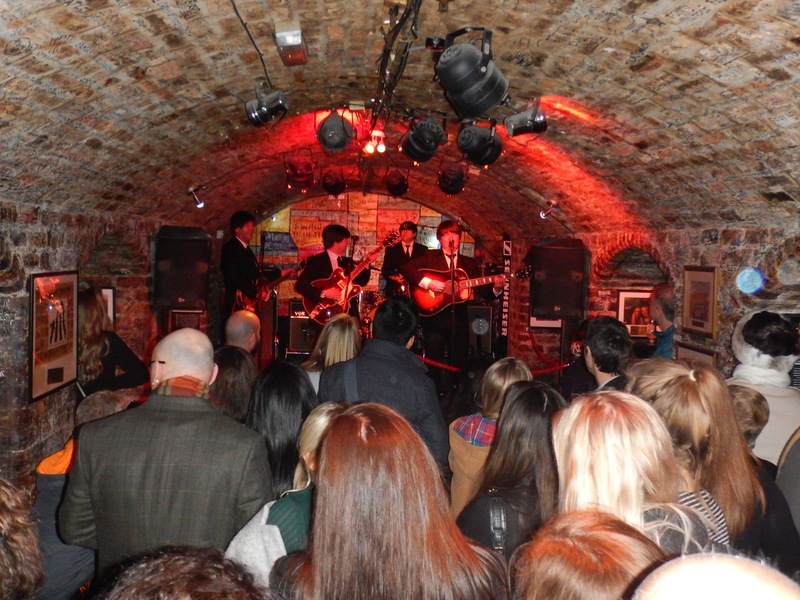 The tour finishes at Mathew Street, where the Cavern Club is located. There’s a Beatles tribute band playing when we arrive so we get a tiny taste of what it was like back in the day. On our walk back to our hotel we stop to have a pint at The Philharmonic Dining Room. 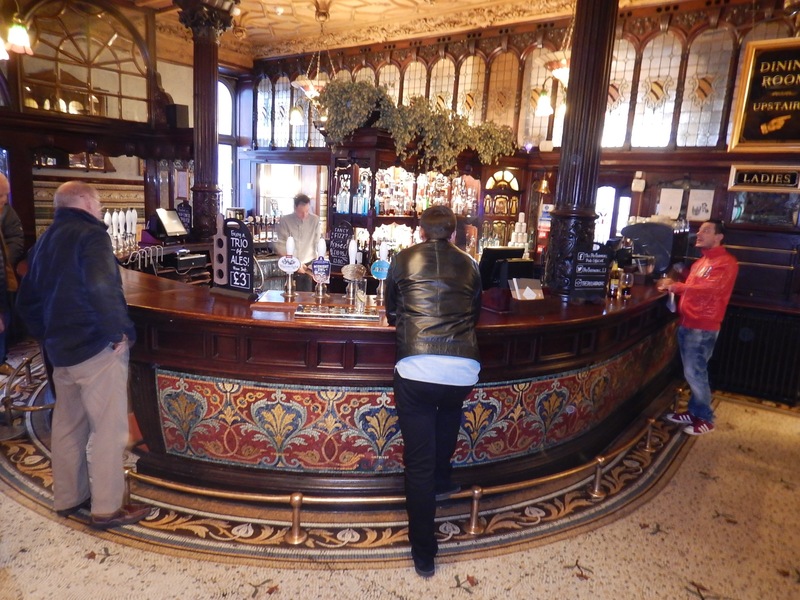 It’s a beautiful pub, famous for being one of the most lavish and ornate pubs in the country. 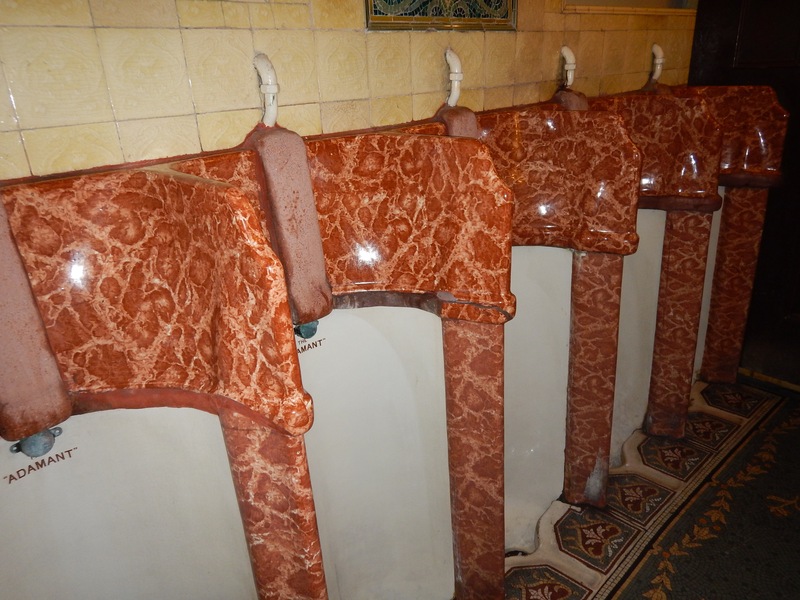 There is stunning mosaic tile work on the round bar, on the floors and in the men’s bathroom. The men’s room is much more impressive than the women’s! 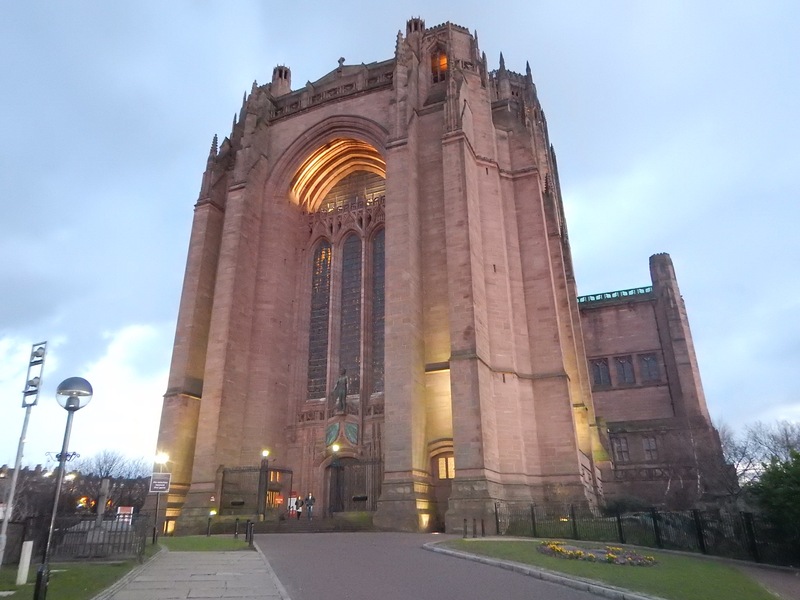 Speaking of impressive, Liverpool is also where you find the largest Anglican Cathedral in England (and one of the largest in the world). It is a magnificent structure that was built over a 78 year period from 1900-1978. 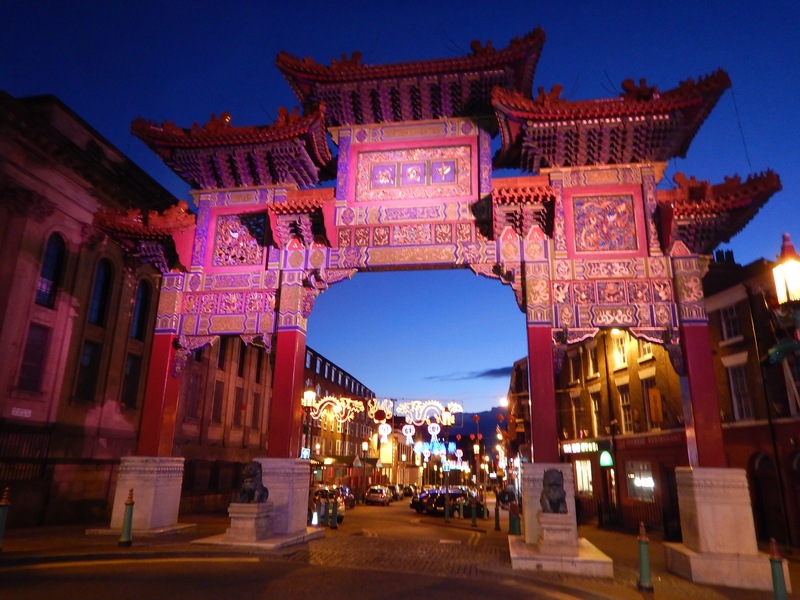 About two blocks away is the largest Chinese arch in Europe. There is a Chinese population here because of the port and shipping industry that made the town famous before John, Paul, George and Ringo. 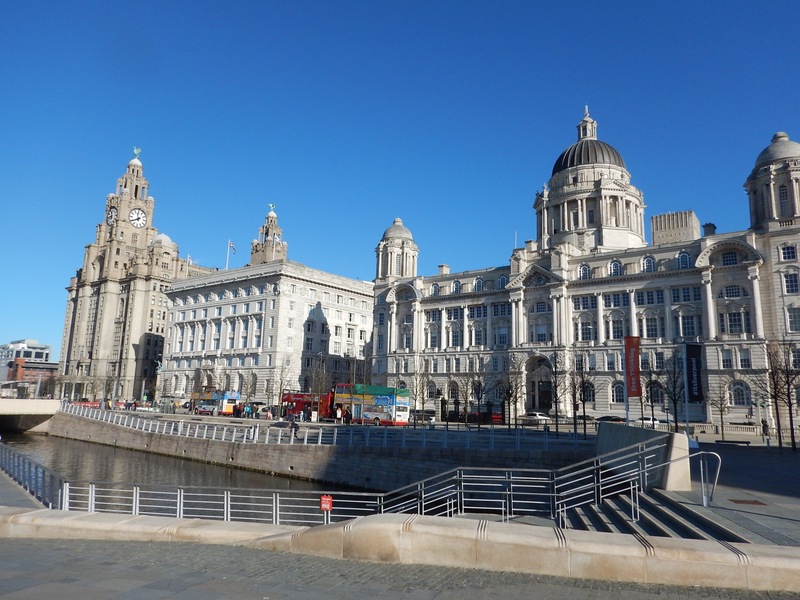 If you come to Liverpool it’s definitely worth it to see both the Liverpool Museum and the Maritime Museum (no charge for either). 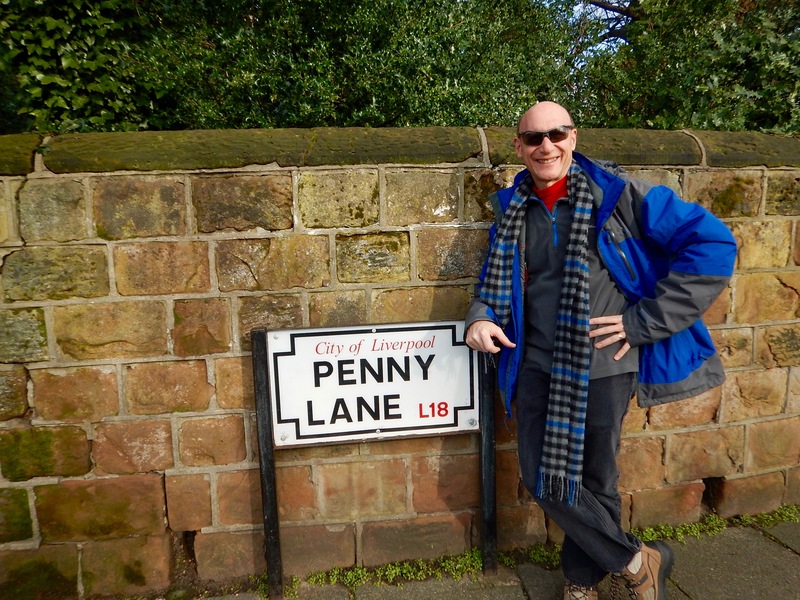 We learned that this city is more than just the Beatles. 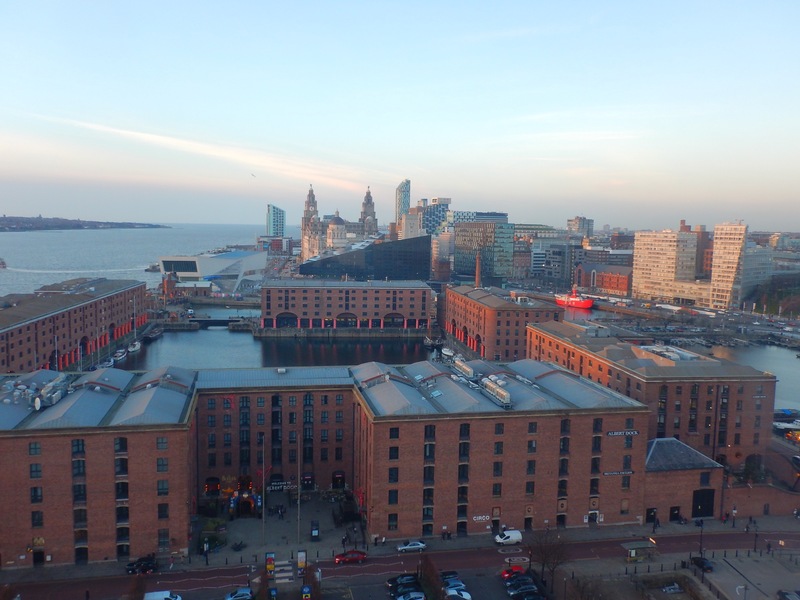 There is lots of history surrounding the port, the docks, the royal navy and the cruise ships that used to sail in and out of Liverpool. Loyal followers know how much I love the Ferris Wheel at Centennial Olympic Park in Atlanta. 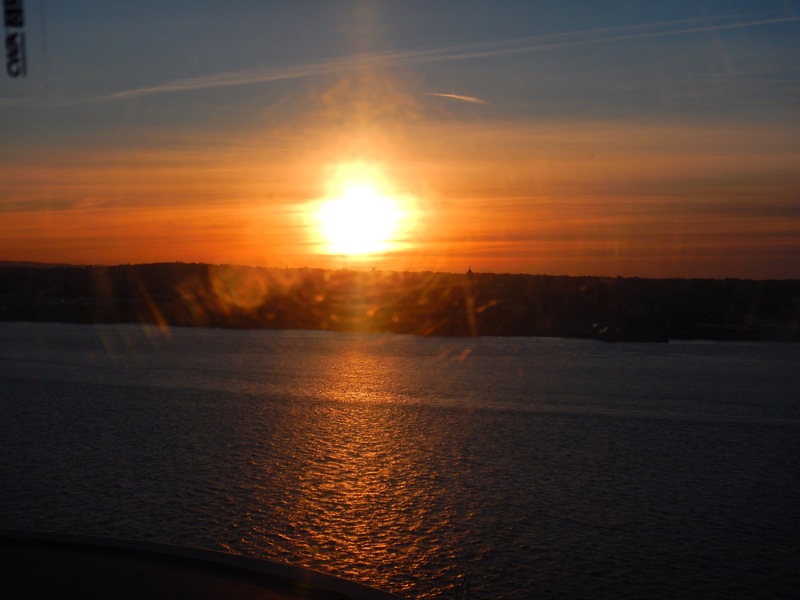 We rode the Liverpool Echo Eye, and were lucky enough to catch a sunset over the River Mersey while riding the Ferris Wheel. 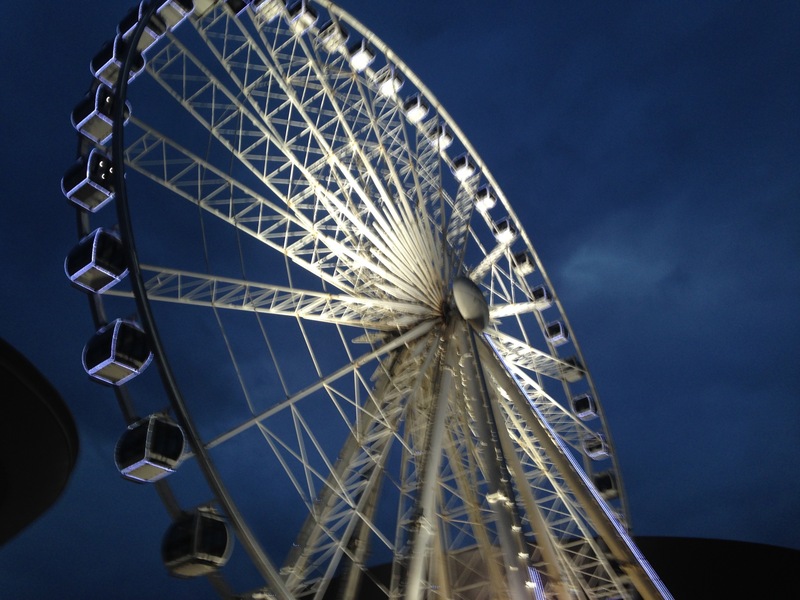 Fingers are crossed that we can be as lucky on the London Eye later in the week! Oh, and by the way, Liverpool is quite lovely. The buildings are beautifully maintained, the Alfred Docks area is completely renovated and full of restaurants, hotels, and entertainment. We walked everywhere, the sidewalks are in beautiful shape and we felt safe wherever we went. Looks like an amazing trip! Still can’t believe you could drink so much in one day.